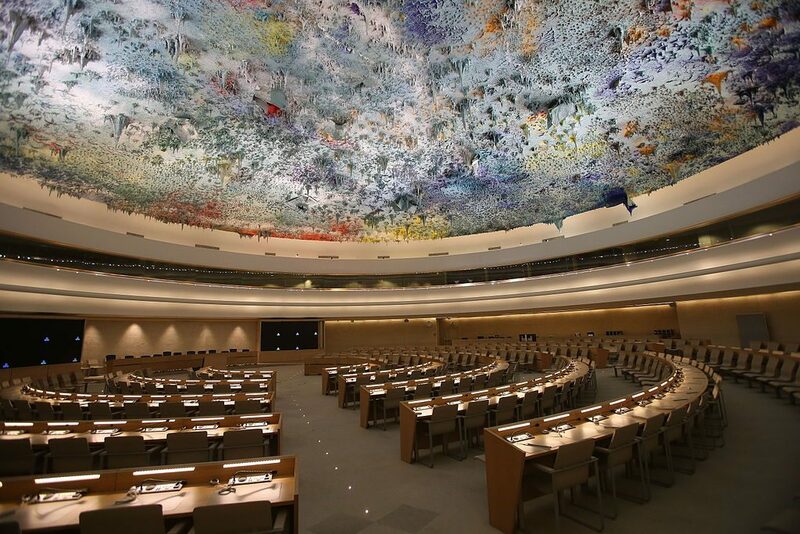 The meeting room of the United Nations Human Rights Council, in the Palace of Nations in Geneva. Nikki Haley, the U.S. ambassador to the United Nations, says the U.S. will not allow the U.N. to bully Israel anymore. Nikki Haley spoke Wednesday in Yerushalayim a day after she berated the U.N.’s top human rights body, charging it lets rights abusers whitewash their images and foes of Israel attack it unfairly. The reception for Haley at the president’s residence was very cordial, and more relaxed than when President Donald Trump was in Israel. Haley’s visit holds none of the anxiety of the president’s trip, in which the ambiguities of his position had officials on tenterhooks, wondering if he would use one of his speeches to make an unscripted demand for concessions from Israel. “I think they know they can’t keep responding in the way they’ve been responding. They sense that the tone has changed,” she said.